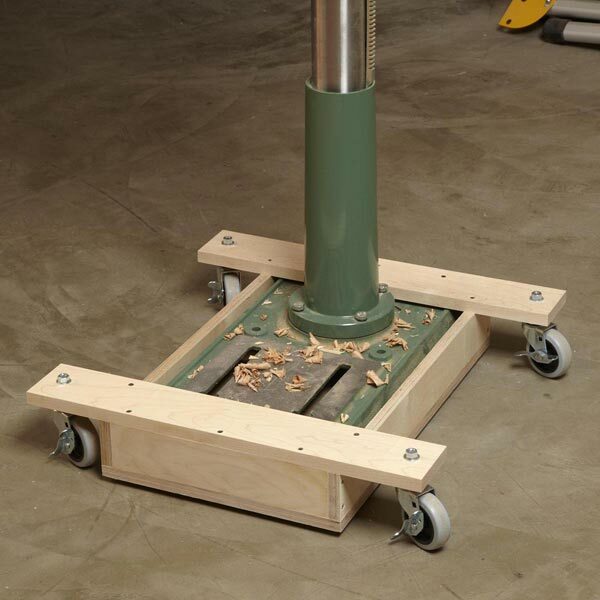 This easy-to-build mobile tool stand packs a shop full of convenience in a small package. 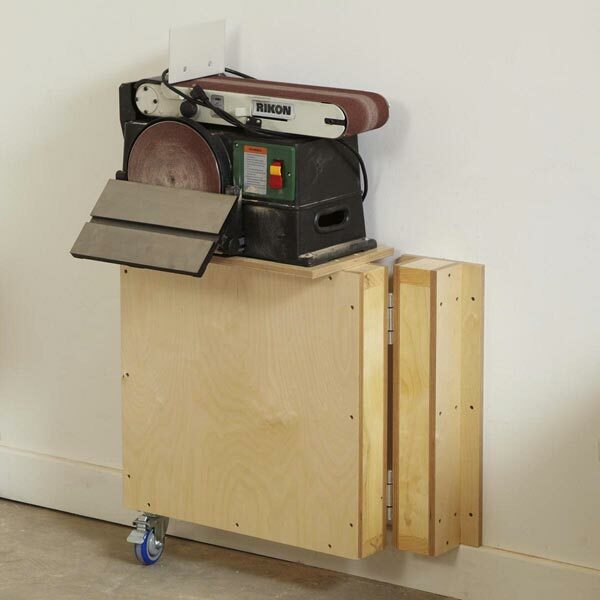 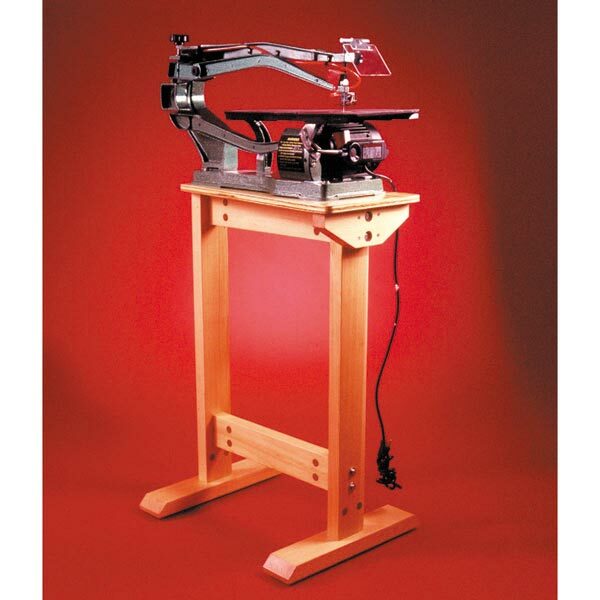 With a footprint of less than 7 square feet when folded, this tool stand expands into a massive 17-square-foot tablesaw work surface. 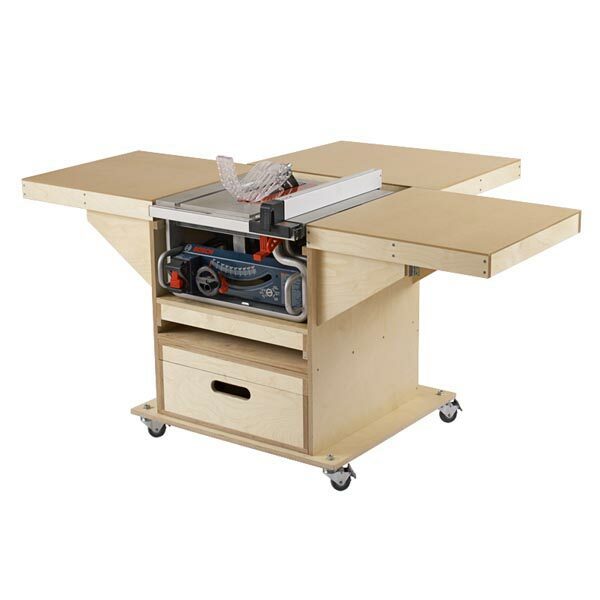 And it's multi-talented���to switch to a router table simply slide out the on-board router drawer. 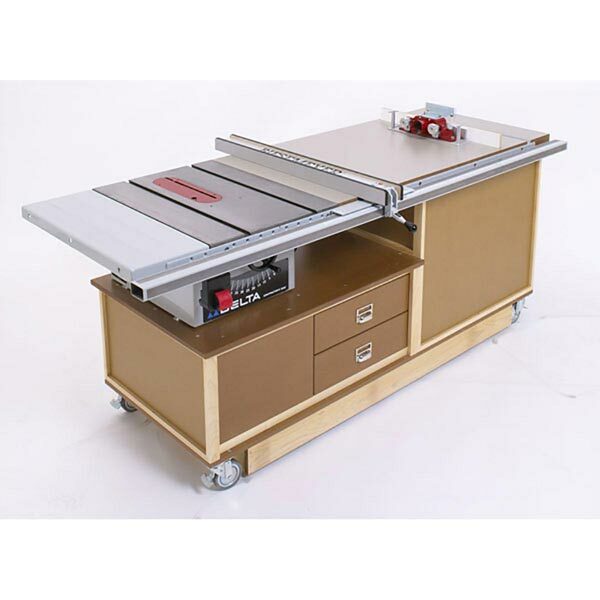 While we show this mobile base with a Bosch GTS1031 bencthtop tablesaw, the base was designed to fit many similarly sized tablesaws. 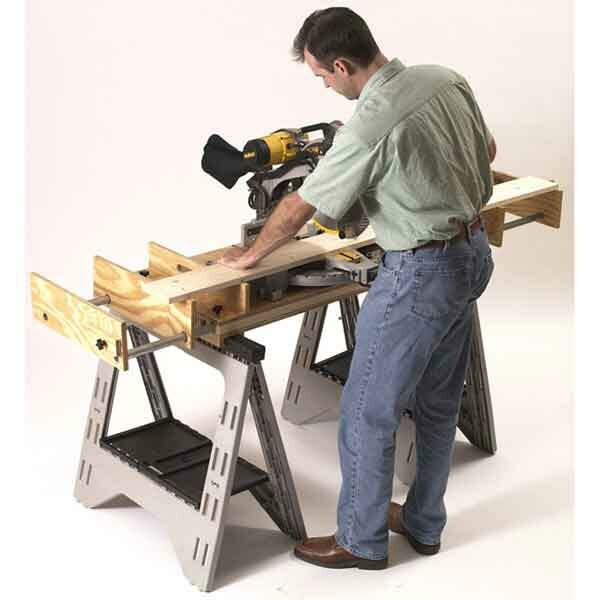 Before building the station, measure your chosen tablesaw's dimensions carefully and adjust the base to match your saw if necessary. 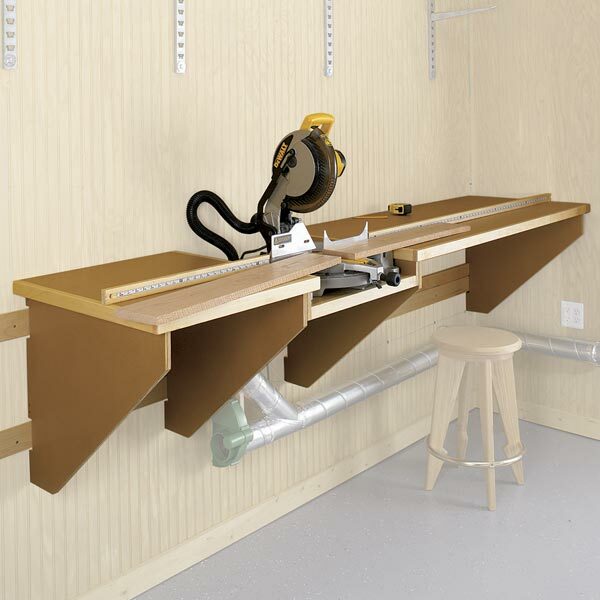 Likewise, measure your router's height to ensure it fits in the bin. 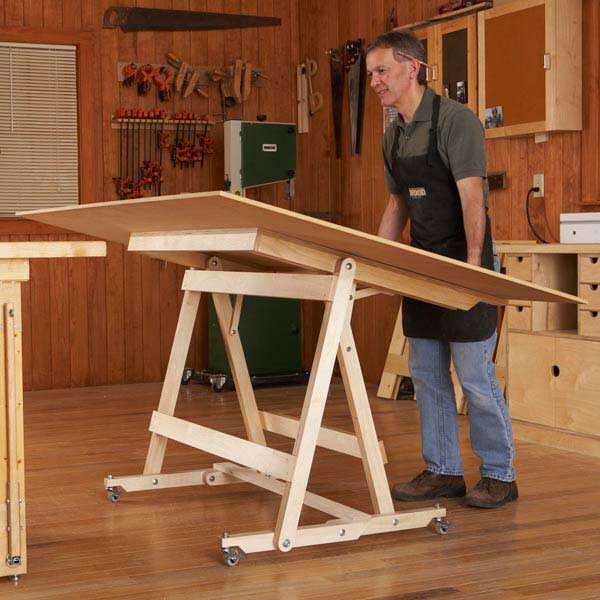 Overall dimensions when folded are 33" wide x 29" deep x 31" high. 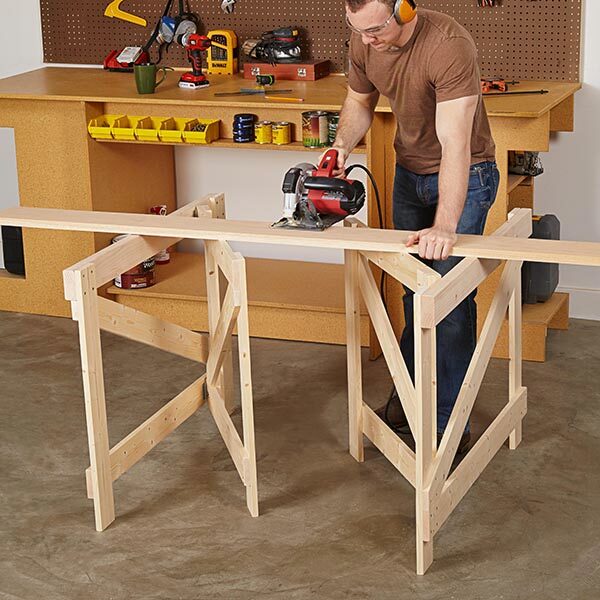 Unfolded: 72x48x31".